The origins of Max Payne come from the early 2000s as a video game, and took the shape of a tough city cop out to nail the bastards who killed his family. The storyline of a dangerous drug at the core of his investigation is in tact, as is the dark and chilly noir mood, coupled with highly stylistic action and violence. The director at the helm of this slick cinematic interpretation is John Moore (whose past work includes two remakes - Flight Of The Phoenix and The Omen). With the Canadian city of Toronto doubling as New York City, Mark Wahlberg takes the role of the tormented Max Payne and does a good job of it. Some of the features from the game, like “bullet-time” slow-motion sequences makes for a cool homage and retention of the game’s spirit. For a change you get a (two part) documentary making-of which has an individual flavour and style, put together with more thought and originality than the usual featurettes slapped onto DVDs. PS. 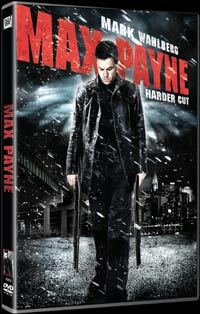 Max Payne also features the Bond-girl from Quantum Of Solace, Olga Kurylenko in a small role.